This Is The Drug In The Rolling Stones' Song "Mother's Little Helper"
When The Rolling Stones sang "Mother's Little Helper" back in 1966, they weren't talking about drugs. They were talking about a specific drug that was prescribed for everything from severely ill mental patients to recovering alcoholics to comfortable middle class people who sometimes felt anxious. It was called "Miltown." Before Miltown, the best most mentally ill people could do was get a competent therapist to manage the worst of their symptoms. If the symptoms became too extreme, patients went to hospitals and seldom came out again. But in the 1940s, two scientists noticed a drug, mephenesin, had a "tranquilizing" effect on lab rats. That was the start of something big. 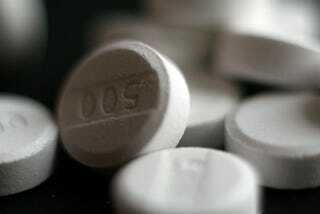 The drug was reworked into something called meprobamate, and tested out on patients in a Mississippi mental hospital. A few made a complete recovery and just under a third felt that their symptoms were greatly improved. It's true that only those with the mildest symptoms greatly benefited from the drug, but that meant that many people could, with their prescription, simply walk out of the hospital. Meprobamate let a lot of patients live outside of institutions. It also probably helped the many Americans who were already able to live outside institutions, but still felt anxious and unhappy. Miltown hit America in 1954. By 1956, doctors had written 36 million prescriptions for it. At the height of its popularity, one out of every three prescriptions called for this drug. Common as it was, it wasn't over-prescribed. There literally wasn't anything else. There were drawbacks. If used over a long period of time, the drug is physically addictive. Sudden suspension of the drug causes dangerous withdrawal symptoms. In order to quit, users have to slowly reduce their intake. And, while meprobamate does have a tranquilizing effect, the emotional tranquility is accompanied by physical and mental drowsiness as well. It's far from a perfect drug. It was just, for a long time, the only drug. One of the things that gave meprobamate a bad name was its use by housewives. The idea that these women, seemingly without a problem in the world, needed drugs to get by sparked confusion and scorn - as did the fact that many women became physically addicted to the drug. This is where the phrase, "mother's little helper," comes from. Meprobamate is the drug referenced in the famous song. Of course, by 1966, when the song was released, other drugs were on the market. As the effectiveness, specificity, and sheer number drugs increased, meprobamate fell out of favor. It is still around, though. And people still are addicted to it.